When Irving Scholar introduced Client Reference Numbers, and replaced the Shelf with expensive Corporate boxes, that was the start of a long process of change. The relationship between Tottenham Hotspur and its fans shifted. That process is now almost complete. The season ticket packs that were sent out this week are another marker along this long journey of change, turning Tottenham from a club in which we are all participants, into a producer of entertainment of which we are consumers. But fans cannot be consumers. There are distinct differences between a “fan” and a “consumer.” Consumer behaviour is directed by “willingness to pay” and “choice.” If Spurs returned to mid-table mediocrity it is not like we have a choice. We can’t say “OK now I will support Manchester City because their product is better.” There is a deep inelastic emotional commitment to our club. That comes from memories with friends and families, loved ones who we have lost, representation of N17 and the Tottenham area. Identity, or extreme irrational brand loyalty to put it in economic terms. This is why Tottenham are playing a very dangerous game. 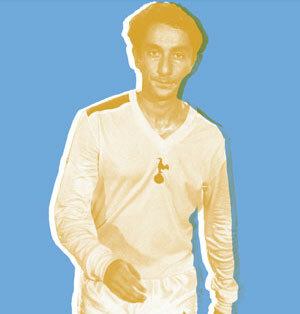 Consumer interest in the Premier League and Spurs “product” may be wide, but it is not deep. It doesn’t take too much of a leap of imagination to see what happens if you fill your stadium with consumers rather than fans. Just take a look at Arsenal: terrible atmosphere, and poor attendances when performances are below expectations. Consumer interest in the Premier League and Spurs “product” may be wide, but it is not deep. And the ironic thing is, this is bad for the “product.” Empty stadiums and fans protesting on the pitch like at Arsenal and West Ham are not part of the marketing strategy for the Premier League and the clubs in question. Daniel Levy seems to understand this. The introduction of a Young Adult pricing category and future proofing of the stadium for safe-standing are all positive steps. But it begs the question, is the motivation behind this purely for financial gain? Are we merely there to sell the product? When I was reading the season ticket brochure this week I was blown away by the facilities on offer. So much money has been spent on this stadium. Are we being ungrateful? I don’t think so. We didn’t ask for a cheese room. I think that brochure represents a total misunderstanding of what fans want. Of course loads of food options and polished floors are nice. But that’s not what we go to football for. All we want is to meet our friends, have a beer and escape from our lives for 90mins. I would even go as far as saying the actual football on display is secondary to all that. 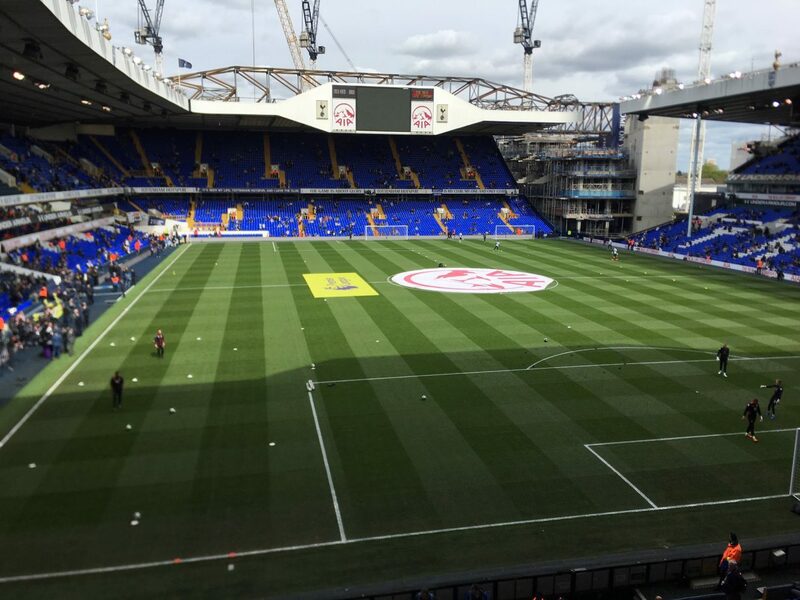 If there is no atmosphere, and watching Spurs becomes akin to a passive trip to the theatre we may as well stay at home and save £50 per week. The other thing that concerned me about that season ticket brochure is the language used in it. There is a bar in the East Stand called “The Shelf.” This is part of the commercialisation of our fan culture. The match day experience and the Tottenham culture is now a commodity which you can buy. They are selling what we created back to us. In Sports academia this is what is known as the turning of a stadium into a “tradium.” Every aspect from The MarketPlace, to the 65m bar is designed to get us into the stadium and spending money. Forget about the Antwerp Arms and the kebab shops along the High Road. They want us inside the ground before and after the games. The whole stadium is designed with commercial imperatives at the forefront. They are selling what we created back to us. “But we need this to compete with the other teams” is the response. Firstly, a tiny proportion of revenue is generated from match day going fans. Secondly, Tottenham’s performances on the pitch over the last few seasons are the very evidence you need to see that we can compete without the match day revenues of the big boys. If anything, since Arsenal built the Emirates we have closed the gap and overtaken them. Finally, I think it is worth asking if winning at any cost is worth it? Tottenham fans are not glory hunters. Far from it. The reason we love going to football is not because we might eventually win a league title. If I was a rational consumer I wouldn’t pay for this hollow experience. But I am not. Tottenham is part of my identity. I’ve been going to games since I was 7 years old with my family and friends. It connects me to home and runs through my blood. It is something cultural rather than economic. The average age of a season ticket holder in England is getting older, with the current statistics showing that the average age is now 41. In Germany it is 21. What happens when those fans are too old to go or lose interest? Tottenham are playing a very dangerous game. This strategy is short term. The question is: will those who are priced out come back? What we can say for sure is that a stadium full of passive consumers rather than loyal fans is not great for the Tottenham Product. Brilliant article and well written. Says it all, we are Spurs, who cares that we have not won a trophy for X amount of years, This is our Club, Our Shirt, when the current heroes go another load will appear, But the shirt goes on so do the fans,. Hopefully DL will appreciate who and what we are.